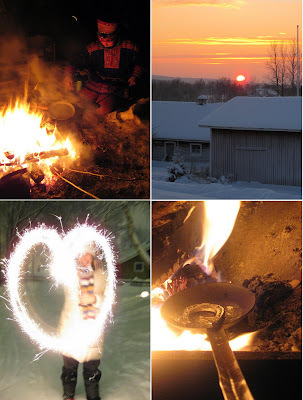 Scandi Home: Happy New Year! The "in between" days (between Christmas and NYE) were a busy time for us. It was too cold to go skiing, but we visited my relatives and did some shopping at the post-Christmas sales. It also happened to be our 5 year anniversary at the end of December, and I had booked us a night at the Snow Village (an ice hotel) in Ylläs, a couple of hours drive north from my hometown. 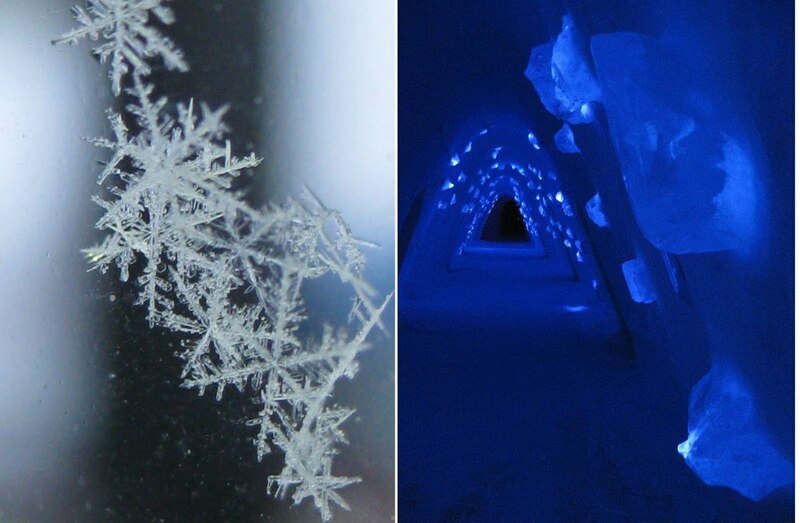 I have no idea where I got this crazy idea to spend a night at an ice hotel when it's -30C outside! Inside the ice room the temperature doesn't drop below -10C, but trust me it's cold enough when you're trying to get some sleep. I had booked a reindeer sleigh ride for the evening of our anniversary, and it so happened that during the ride we got to see the northern lights (Aurora Borealis)! They were as beautiful as ever, and it really was the highlight of our trip making it all worth it. 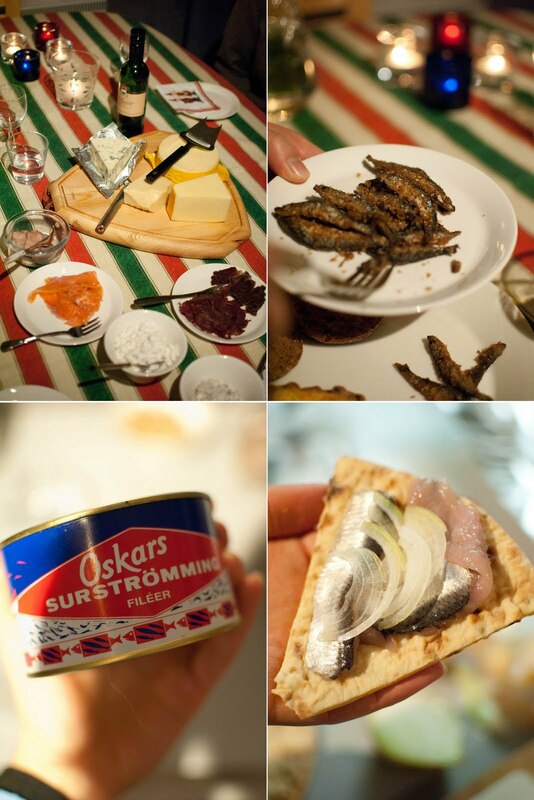 We spent New Year's Eve at home and had a selection of cold and warm nibbles for a light dinner: gravlax, herring, muikku, smoked elk, cheeses and salads. It was another ingenious idea of mine (I blame the cold, my brain must have frozen) to buy a can of Surströmming (Swedish rotten herring). My parents were not all too happy about having the smell of this fish lingering in the house (even though we opened the can outside! ), but it's another experience my partner can tick off his list now :-) I can report that the herring did not taste any better than I remembered, but many Swedes might disagree on this. A perfect Xmas! My dream. Your country is so beautiful. An ice hotel. I've always been fascinated by those. Did you take a photo of the bed? lol. And I'd love to see the Northern Lights one day - sounds like you organised a pretty spectacular anniversary. Happy anniversary and Happy New Year Maria! wow that ice hotel looks amazing! surely it was warm in bed?? maybe?????? and rotten herring lol. you scandinavians come up with the weirdest stuff! 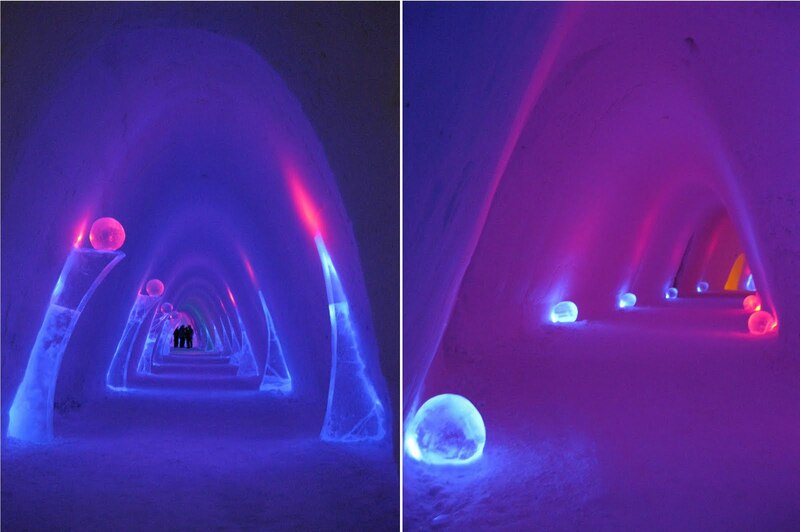 Amazing photo's, especially the snow hotel. Happy New Year! I hope your melted horse shoe brings you lots of luck and happiness in the new year. Happy New Year! That ice hotel looks amazing! I would try that, just to experience it at least once! Happy New Year! The ice hotel looks awesome! the snow village looks stunning! Happy New Year! I loved seeing how the other half of the hemisphere celebrates and yours has been most enlightening, thank you for sharing with us readers! I can't believe there's ever a time when it's too COLD to snow! Ooops, meant too cold to ski, hehe! I am impressed that you stayed in the ice hotel. I don't think I could have taken the cold! Absolutely gorgeous pictures! Wishing you a very happy New Year, Maria! I'm jealous that you got to see the Northern Lights. An experience I'd love to have one day.